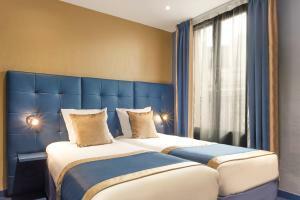 Located in the Bastille area of Paris, the Trianon is a 5 minute walk from the Gare de Lyon. It offers air-conditioned guestrooms with free Wi-Fi and satellite TV. A breakfast buffet is served daily and the Trianon Gare de Lyon Hotel provides free international newspapers and a 24-hour reception. 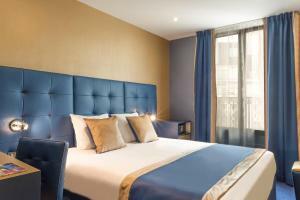 From Gare de Lyon Metro station, guests at the Trianon have easy access to Le Louvre and the Champs-Elysees. The station also offers RER links to La Defense and Disneyland Resort Paris. Rate: € 76.00 ... € 180.00; select dates below to get current rates. Rate: € 87.25 ... € 167.25; select dates below to get current rates.